Darrell and Heather Huntoon of Idaho Springs, Colorado are pleased to announce the engagement of their daughter, Meghan Irene Huntoon to Ryan Kelly Lindeman, son of Amy and Andrew Lindeman of Great Falls, Montana. Grandparents of the bride are; Max and Loretta Huntoon of Sand Lake, Michigan, Carol Brooks of Howard City, Michigan, Phillip Brooks of Kissimmee, Florida, and great grandma Betty Goller of Rockford, Michigan. The couple met while attending Montana State University. The bride earned her master’s degree in experimental psychology. Meghan is currently a doctoral student at Northern Illinois University. Ryan will graduate with his bachelor’s degree this coming May. 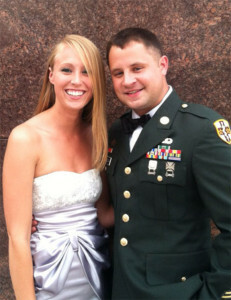 The groom is employed as an Army combat medic. The pair will marry August 2, 2014 in Central City, Colorado.